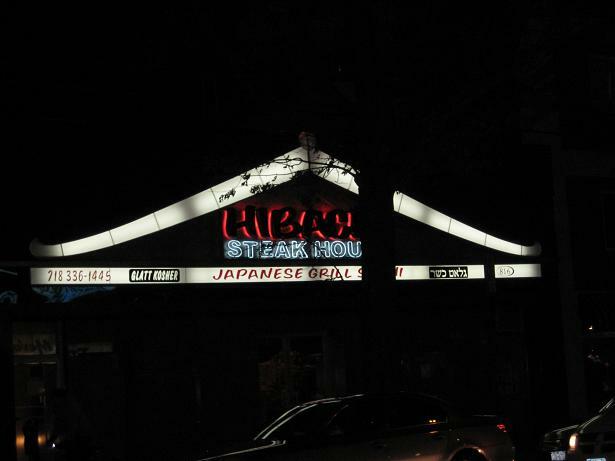 Hibachi Steakhouse | Thanks a Glatt! 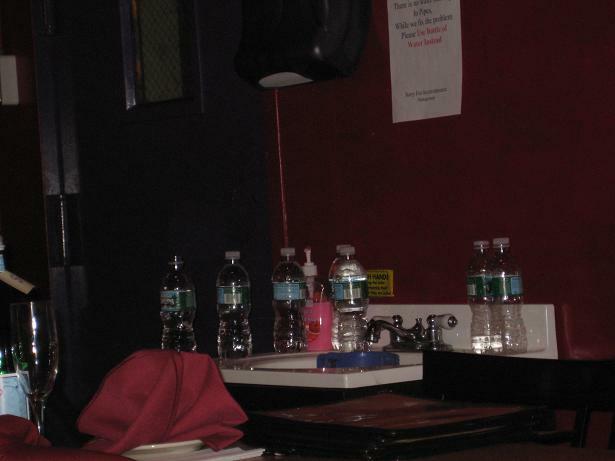 What may at first look like the place was letting us wash with water bottles instead of tap water this wasn’t a show of luxury rather than the fact that they had no running water. At all. Anywhere. That was the first sign that we should get out of there, but the geniuses dumb people were were we decided to stay. The second sign that we should leave was the banging. Every few minutes it would come and go from behind an oddly placed curtain in the restaurant (see the background of the group picture below). They decided that instead of closing the restaurant for repairs they would keep it open – perhaps because they wanted me to write a bad review? Probz!! We begged the hibachi chef to tell them to stop working while we were eating, he went, and came back and said “two minutes”. Nice. A few minutes passed and they stopped the banging. The good news was they honored the “two minutes” that they told us. The bad news was that this was when they started drilling. As you can see this just wasn’t our night. 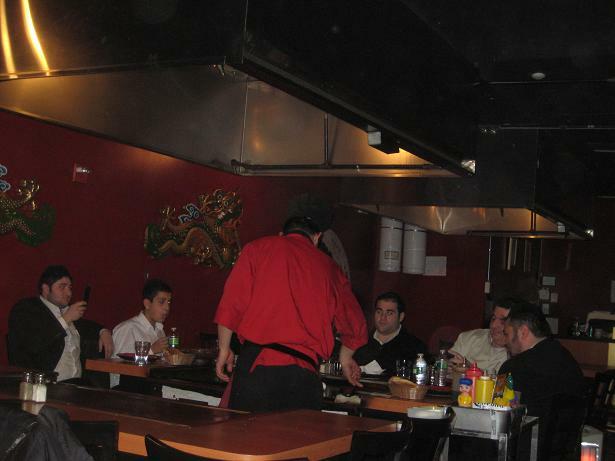 The layout is pretty simple, a bunch of grills setup hibachi style. The ambience was dead (they decided to supplement the silence by playing some traditional Japanese Kenny G over the speakers. Considering it was a Sunday night I expected there to be a larger crowd of people there however there was just us and two other groups eating there. Pretty sad. With the lack of a crowd, the Chef’s doing their thing sounded more like a bunch of pans clanking around instead of genuine hibachi style show. 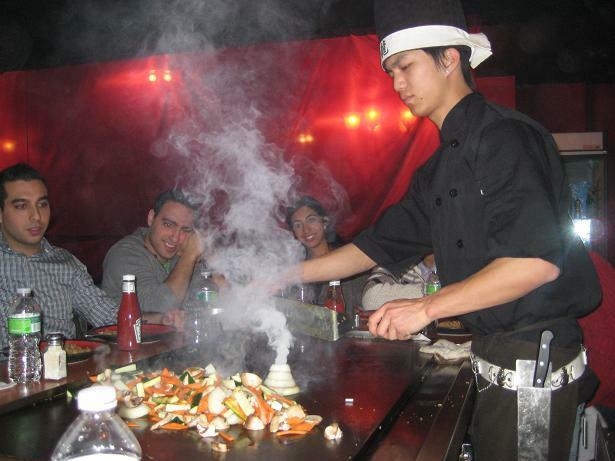 Speaking of the “show”, the Chef was more like a Benihana drop out (he dropped his tools a few times) instead of a top grade Hibachi Chef. For our meal we ordered two of each of the entré that they had for everyone at the table. The steak was rubbery, too salty, and looked more like liver than a $40 dollar steak. The chicken was also dry and didn’t have anything to necessitate it as a $30 piece of chicken. To me the best part was the rice mixed with margarine. The prices were all very high but I understand why – they make ZERO from take-out and at this kind of place, even if the food is good it is more of a once a year place to go to so they have to charge more for the lack of regular customers. Maybe the Hibachi Steakhouse fools others for being Hibachi but it didn’t fool me. I just don’t think the kosher world is ready for hibachi and wouldn’t recommend going here. But I will try it again within the next few months (if it’s still open) and give them a chance to redeem themselves. After arguing with the owner we got him to remove the 18% group service charge so there was something positive to come from the night. I would have thought that health regulations require a restaurant without running water to close. Yeah we’ll we are partly to blame for staying under those conditions… but still they shouldn’t have stayed open.. our experience was horrible. Have you ever been there before? I think it is a good idea to visit that place.